A neighborhood is more than a collection of zoned streets and domiciles; it lives and breathes, shaped by its unique residents and architecture. Even with social media and technology altering the definition of what is meant by “community,” Salt Lake City’s neighborhoods, represented by 34 community councils, remain as vibrant and distinct as ever. 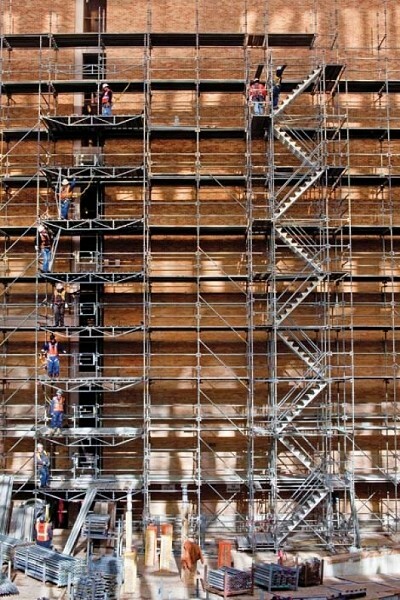 How do you get in tune with the city’s 180,000 (and the Wasatch Front’s 2.1 million) residents? One way to navigate is to locate a neighborhood epicenter—where news is told, not posted, and status is seen, not read. Coffee shops represent a natural hub. The caffeinated air of buzzing conversations is welcoming and inclusive. Local bars and taverns offer other ways to meet and greet and exchange views over a beer. Best of all, talk to local shopkeepers; no one knows neighborhoods better than the those who spend their hours toiling in the city’s commercial centers. Catch them at a slow time to encourage them to recount urban tales and point out hidden gems. Some call downtown and its surrounding area “Small Lake City,” referring to the city’s numerous random interconnections. “Small,” however, would not describe the city’s recent upward spiral—depicted by the “Downtown Rising” campaign that marks the addition of two new office towers, several proposed arts buildings and a multibillion-dollar shopping mall and condo project under development as we speak. But even after the 2012 unveiling of the City Creek Center, downtown will still be clean, walkable and friendly—truly, a little big city. City Creek represents “an unprecedented commitment to our community and will reshape downtown in significant ways,” Mathis says. One way is environmentally. It’s going to be one of the first neighborhoods in the country to receive Leadership in Energy & Environmental Design certification. Naming a central hub for downtown is cause for debate, no matter whom you ask. Some will argue that Lamb’s Grill (169 S. Main, 801-364-7166)—a Main Street institution since 1919, with its lunch counter and cozy wooden booths—is the meeting place for downtowners wanting to chat and/or strike business deals. Others will vote for Judge Café (8 E. Broadway, 801-485-2808), located in the historic Judge Building, which offers a similar historic appeal. The retro Beehive Tea Room (12 West Broadway, 801-328-4700), with all its eclectic charm, is the perfect spot to meet for book club or an online date. Pubs like Murphy’s (160 S. Main, 801-359-7271), Junior’s Tavern (30 E. Broadway, 801-322-0318), Cheers to You (315 S. Main, 801-575-6400) and the Beerhive Pub (128 S. Main, 801-364-4268) attract sundry but exceedingly loyal crowds. 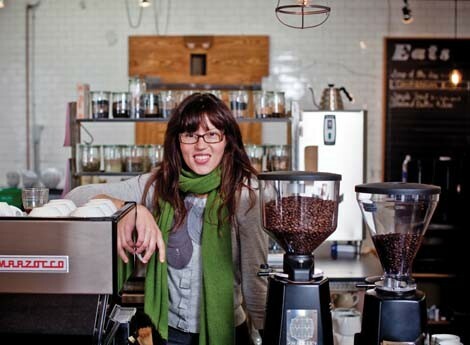 Just outside the downtown hustle is Nostalgia Coffee & Deli (248 E. 100 South, 801-532-3225), where owner Kathryn Webb reflects on her love of downtown: “I really like that I can go to Gallivan Center (239 S. Main, 801-535-6110, which is currently undergoing a remodel but will be open in 2011 for concerts, festivals and outdoor ice skating) or on Gallery Stroll (GalleryStroll.org) and see customers and friends—a lot of the same faces,” Webb says. Webb’s top recommendations for downtown are the winter lights, summer flowers and year-round fountains of Temple Square (15 E. South Temple, 801-240-1706); Utah Artists Hands (61 W. 100 South, 801-355-0206) for shopping and supporting local artists. 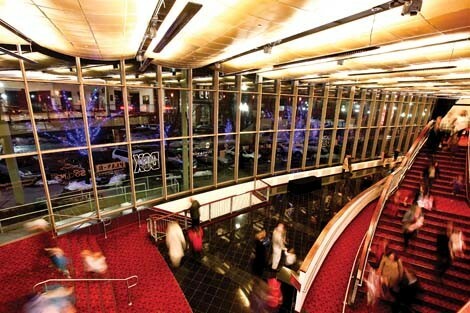 Also try: Abravanel Hall (123 W. South Temple, 801-323-6800) featuring the Utah Symphony & Utah Opera; Capitol Theatre (50 W. 200 South, 801-355-2787), home to Ballet West and Broadway Across America productions; Rose Wagner Center for the Performing Arts (pictured at left, 138 W. Broadway, 801-323-6800) for emerging performance art; The Salt Lake Art Center (20 S. West Temple, 801-328-4201) for contemporary visual art. Hidden gem: Utah Book & Magazine (327 S. Main, 801-359-4391) is jam-packed full of surprises, from used books and comics to vintage adult magazines. If you come here at 6 a.m., you might catch the owner playing poker with friends. Pioneer Park/The Gateway represents downtown’s “other” anchor. Pioneer Park has undergone a recent face lift, making it more inviting to the influx of condo dwellers who buy refurbished warehouses and lofts in the area. “We’re all just local guys. It’s grown up organically. 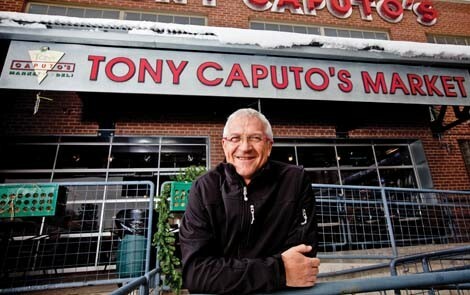 There’s no huge vision, like at City Creek,” says Tony Caputo, owner of Tony Caputo’s Market & Deli (pictured at left, 314 W. Broadway, 801-531-8669), about the Pioneer Park area. The community comes together—be they captains of industry or average Joes—in brief bursts here. “We want people to enjoy their meal ... then get the hell outta here,” Caputo says, with a chuckle. “The Downtown Farmers Market (DowntownSLC.org/Farmers-Market) is one of the biggest gatherings, period,” Caputo says. But, aside from this seasonal Saturday morning event and other special events, the park continues to be a haunt for the homeless. Local police installed surveillance cameras to scare off drug dealers, so the park is essentially safe—it just needs to be used by a greater number of residents every day of the week, not just on Saturdays. The neighborhood boasts eateries galore, including locally grown food purveyors Tin Angel Cafe (365 W. 400 South, 801-328-4155) and Bruge’s Waffles & Frites (336 W. Broadway, 801-363-4444) to say nothing of the myriad dining options available in The Gateway (ShopTheGateway.com). The Art Access Gallery (230 S. 500 West, 801-328-0703) and Brewvies Cinema Pub (677 S. 200 West, 801-355-5500) offer enticing visual art and movies, respectively. An emerging coffee-shop hub is none other than The Rose Establishment (pictured at left, 235 S. 400 West, 801-990-6270), which opened in October 2010 in the former Big City Soup location. “Many say we complete their neighborhood,” says owner Erica O’ Brien, who sought an industrial artistic space—a fixer-upper—as a backdrop for her coffee-drinking clientele. Also try: Discovery Gateway (444 W. 100 South, 801-456-5437) for interactive, educational and fun children’s science-based activities and Hansen Planetarium (110 S. 400 West, 110 S. 400 West, 801-456-7827) to learn about the stars or see an IMAX film in 3-D.
Hidden gem: SLC Pepper Mural (400 W. 250 South). Jann Haworth, one of the co-designers of the iconic Sgt. Pepper’s Lonely Hearts Club Band Beatles record album of the ‘60s, makes her home in Utah. She redesigned the album cover in 2004 as a 50-foot-by-30-foot civic wall mural in downtown Salt Lake City with a new set of “heroes and heroines of the 21st century” in stencil graffiti, replacing the personalities depicted in the original. The Beatles’ jackets remain as metal cutouts with head and hand holes, allowing visitors to become part of the piece by taking photos. 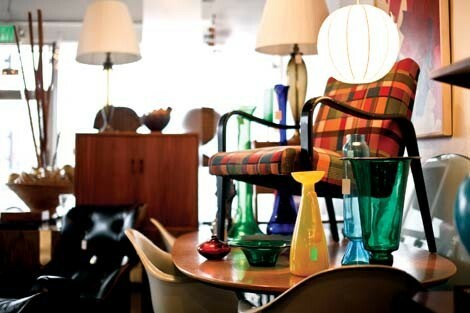 The Green Ant (pictured at left, 179 E. Broadway, 801-595-1818) adds to Broadway’s vintage flair with its ever-evolving collection of mid-century modern furniture. A block farther south, you’ll find the Salt Lake City Main Library (210 E. 400 South, 801-524-8200). However, this isn’t your parents’ library filled with hushing librarians and dusty books; it’s the hip cultural jewel of Salt Lake City. John Bolton of the Salt Lake Roasting Company (whose coffee shop is located inside the library, 801-532-0450), has served roasted beans and coffee at his landmark shop (320 E. 400 South) for a quarter century. He was honored to open a satellite shop inside the dazzling library complex in 2003. “It’s an incredible facility,” Bolton says. Changes are in the air on the square: The area is bracing for a controversial $125 million voter-approved Public Safety Building and Emergency Operations Building set to be completed in 2013. Additionally, TheLeonardo (209 E. 500 South, 801-531-9800), slated to become the first science-tech-art center in the country, is set to open April 15, 2011. Hidden gem: The library’s roof platform. “It’s a fun, cheap date with a beautiful vista of urban mountains,” Bolton says.